Miguel Perez, Jr., who grew up in Chicago, is a former U.S. soldier who is facing deportation. 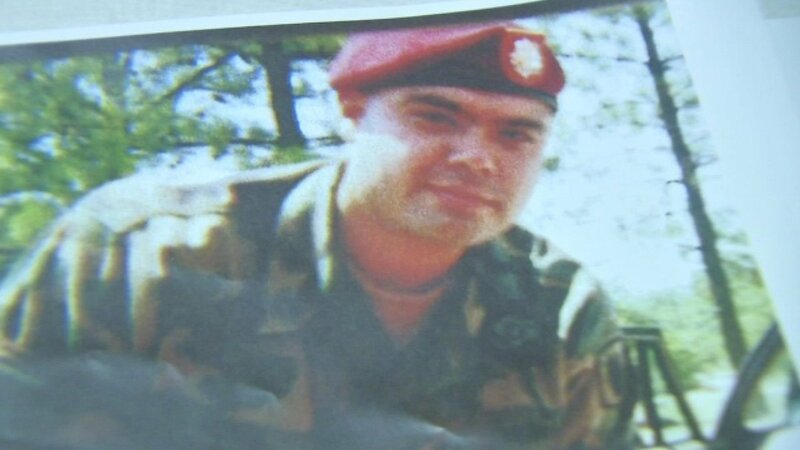 CHICAGO (WLS) -- A group of soldiers, family, and community members came together Saturday to fight a deportation order for a former U.S. soldier. Army Private 1st class Miguel Perez, Jr., was born in Mexico and grew up in Chicago. On Monday, Perez faces a deportation hearing because he committed a non-violent drug offense, his family said. Perez represents thousands of green card veterans who face deportation, according to a press release by Ashley's Memory Project, which was started by the immigrant mother of a deceased veteran, and a local church. They said many enlist with the promise of citizenship. He served two tours of duty in Afghanistan and was injured in an explosion. He sustained a brain injury and suffers from post-traumatic stress disorder, his family said. "He's more American than most of us standing here, because he did pick up arms to defend this country," his mother told reporters at Lincoln United Methodist Church in Pilsen. Perez's parents are both U.S. citizens. The family said that Perez did not get the adequate medical attention when he returned home and turned to self medication with drugs and alcohol. His family said he joined the Army before he could go through the citizenship process. The family plans to hold a press conference before the deportation hearing at the Chicago Immigration Court in the Loop. Congressman Luis Gutierrez, D-Chicago, and Ald. Danny Solis (25th Ward) are also scheduled to attend. On Tuesday, the family will travel to Washington, D.C., for an event of the Congressional Hispanic Caucus.